Our 11th Annual Holiday Benefit is December 11! 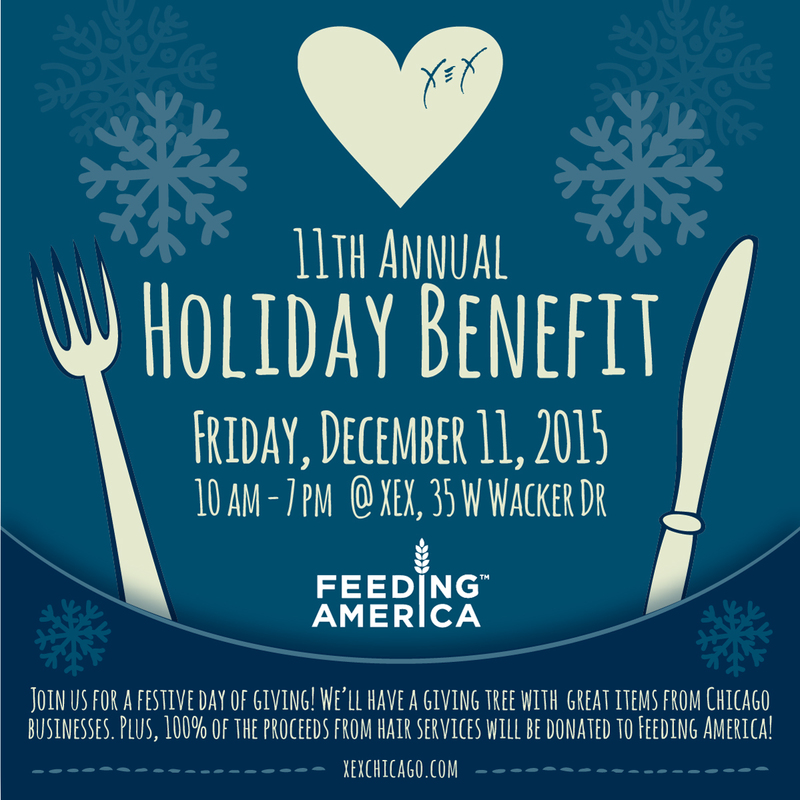 XEX’s 11th Annual Holiday Benefit is Friday, December 11 at XEX. Join us for a festive day of giving! We’ll have a giving tree with great items from Chicago businesses. Plus, 100% of the proceeds from hair services will be donated to Feeding America! We encourage you to schedule your appointment for December 11 to help us donate as much money as possible to Feeding America. Click here to book your appointment online.